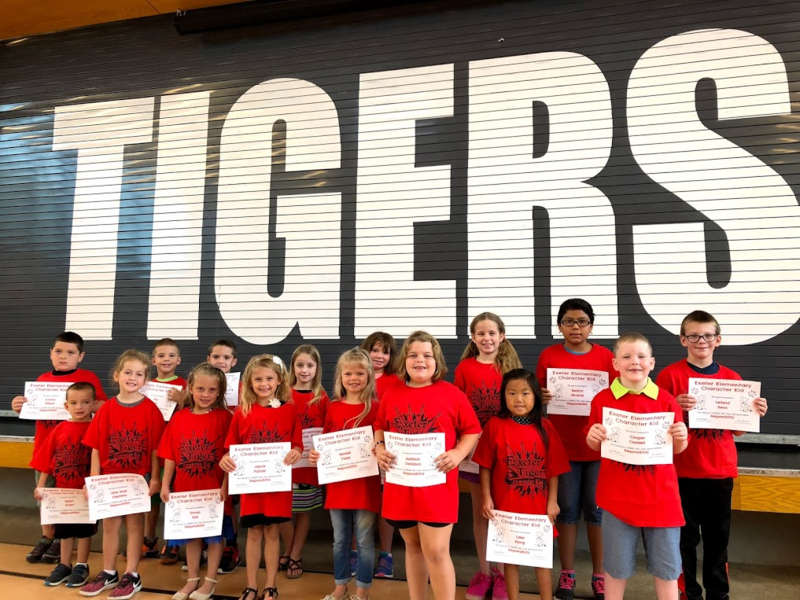 Exeter Elementary recently announced the school’s September Characters Kids of the month. Students were selected for the character trait of responsibility. Pictured above, from left to right, in the front row: Wyatt Grant, Allie Mae Stephens, Emma Hall, Jaycie Palmer, Kevaeh Vasey, Addison Davidson, Lake Xiong and Cooper Caddell. Back row: Tommy Baque, Billy Rice, Noah Jordan, Reyna Aldridge, Gabryella Stid, Jessika Peters, Beatriz Alcaraz and Leiland Renn.